Happy Monday! Yesterday, we had Zoey spent the night at her aunt’s house. Finally, there was a great opportunity for the hubs and I to watch a movie together or do something fun for date-night. Needless to say, none of that happened b/c as soon we went home (8:30pm), I was so exhausted I went straight to bed! Anyhow, while in Italy, we enjoyed some of the most amazing meals ever! We headed to the beach and had the freshest and yummiest seafood dishes. This one was mussels and clams in a tomato basil sauce. Seafood dish is my favorite, especially prawns and seashells. I love Italian food. 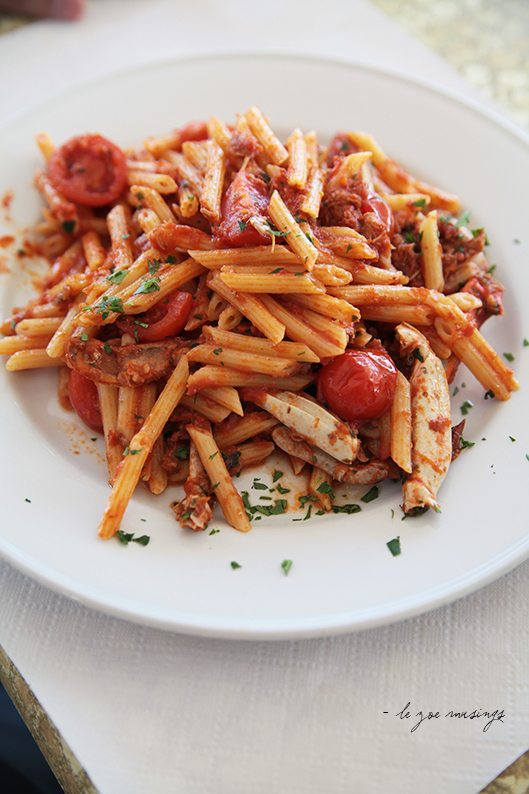 Crab pasta – drool fest! 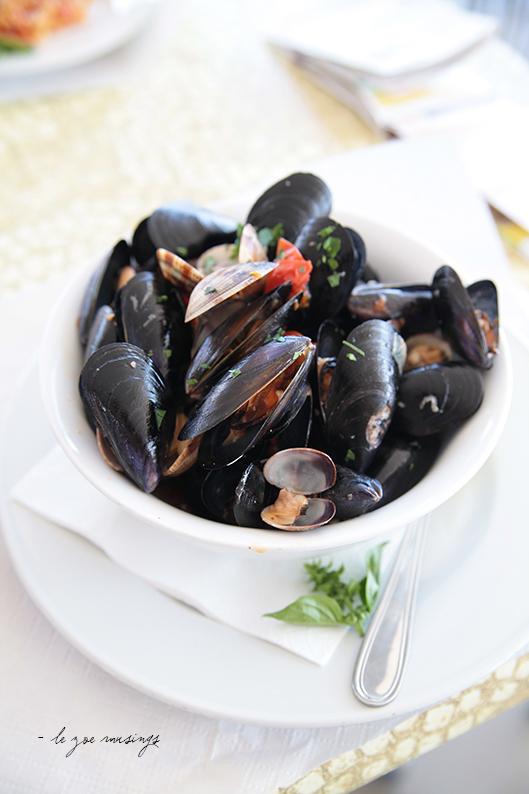 Mmm, those mussels look really great. Must be time to go grocery shopping. Ugh, Italian is certainly the best and I’m sure having it authentic is even better. I bet you’ve brought back so many delicious recipes to recreate!